Yes! Fitness Music : FAQ (Frequently Asked Questions) : Discover new music. Teach better classes. Workout Music for Fitness Instructors. How can I reset my downloads? What is the EZ Downloader and how do I get it? I am getting a File Corrupt message when i try to install the EZ Downloader on my Mac. How do I import a CD into iTunes so it is non-stop? Songs playing back in the wrong order? What Credit Cards type do you accept? How does the Listen Player work? Are your CDs 32-count phrased? How long are your CDs? Does Yes! use Clean Lyrics in their CDs? What is the currency used on yesfitnessmusic.com? Can I sell Yes! products at a local event? What quality are your downloads? When searching the App store on your iPad, the default search shows only iPad Apps. Click the drop down and change from iPad Only to iPhone Only. To find and change this drop down, first search for Yes!GO, then you will see options to change from iPad to iPhone. We have several methods available to immediately download your music files from the Yes! website. Get is on your Phone or Tablet. Even without a Yes!GO subscription, you can enjoy instant access to your music plus FREE Pitch Control on your phone or tablet by installing the Free Yes!GO App. Get the Yes!GO APP for Apple IOS Devices running IOS7 or higher..
Get the Yes!GO App for Android devices running Jelly Bean (4.1) or higher.. If you plan to burn a disc or sync your iTuenes with an older iPod, use the E-Z Downloader software. 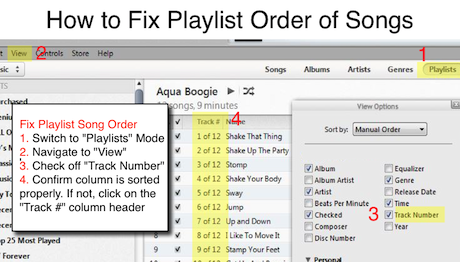 You can purchase your music, run the E-Z Dowwnloader software, walk away from your computer and return to the non-stop playlist in your iTunes program ready to burn or sync with your iPod. If you have already installed the E-Z downloader on your Mac or PC, just start the application like you would any other program and your newly purchased downloads will be delivered. We’ve developed software called the EZ downloader which will eliminate any issues you might encounter in the downloading process. We highly recommend you use this software as it will do ALL the work of downloading and setting up a playlist in iTunes for you so that you can either burn a CD or sync with your Apple device. You do not need to install the software each time you make a purchase. Follow the installation prompts, and then proceed to log in with your email address and password. When your purchase is complete, log in to the E-Z Downloader by clicking on the orange and white “Yes! E-Z Downloader” icon on your desktop. E-Z Downloader will connect to your account on our website, download your newest purchases to your computer, place them in playlists in iTunes for you. You should find it in your playlist alphabetically. Tech Hints: Make sure you do NOT install within the antivirus “sandbox” . Disable any Firewalls you have so that the EZ Downloader can reach our servers. The software is safe with no viruses or spyware. The New OSX has an default Security setting that only allows App from the App Store install on your Mac. 2. Then click on the Security & Privacy icon. 3. Click on the “Padlock” image in the bottom left corner so you can make changes. 4. Then, where it says “Allow apps downloaded from:” , change the setting to “Anywhere”. Watch this new video tutorial that explains how to do exactly this. If you are having trouble hearing music on our website , we have found that this could be caused by 1 of 2 issues. 1) You need to have the Adobe Flash Player installed on your internet browser (Internet Explorer or other). To see if you have the Adobe Flash Player installed on your site, you should click on the following link. In an information box you should see something that says, you have version 9.00/10.00 installed as long as you have some version of the Flash Player installed. If you get a message that you do not have the flash player installed, you need to take a minute to install this. The download is safe and will only take a minute and give you a great tool that 95% of all Internet browser already enjoy. 2) If you see our Player on the right side of your screen (volume, play, pause buttons, a CD image, etc) and the songs list populate within the player just below, then you have the player, but your system is somehow “blocking” the streaming of audio files. This is common in schools and large corporate settings where the businesses and schools want to prevent people from streaming in large audio and video files during working hours. If this is the case, you can either request the network administrator to unblock streaming , or attempt to visit our website from another location. Yes, Our CDs are meticulously edited for even smooth 32 count phrases by industry professionals that have mixed and produced more than 500 Aerobics CDs. We promise not to miss a beat. Each Yes! CD is 60 minutes long except for some special format CDs like Tabatas, Cycle Play lists and the launch releases of SilverSneakers Brand products. Just Pump CDs contain 46-50 Minutes of music with a 2 second gap between tracks. Instructors will normally pause CDs between tracks to change weight plates. See individual track listings for track lengths of each Just Pump song. Yes! CDs are produced in a way to appeal to the widest audiences. We review and edit content to make sure that explicit content is removed. When we make a decision to keep a lyric, we provide a link in the product description that bring you to a separate webpage where you can view the questionable lyric and decide for yourself whether the CD is appropriate for your class. With Energy 4 Fitness CDs we will only be able to provide a list of questionable lyrics once we review each CD personally. Currently we can not guarantee clean lyric content on Energy 4 Fitness products. To read out Clean Lyric Guarantee click on the “What Makes Yes! Different” and follow the link to the “Clean Lyric Guarantee”. We control all of the recordings on our albums and we are not members to assocaitions like PPL in the UK, NRCC in Canada, PPCA in Australia PPNZ in New Zealand that represent the performance rights of recordings and charge fees to you to perform those recordings in health clubs. Our music is not represented by these societies and therefore you do not need to secure licenses from these associations if you plan to use our music exclusively, or plan to use a combination of Yes! music along with other “exempt” music sources. As with other fitness music providers, the public performance is the only right that we are not able “clear” on your behalf. The master recordings are licensed and the musical compositions are licensed for delivery on CD and MP3. However, the public performance rights to the musical compositions still need to be secured from the US performance Rights Societies: ASCAP, BMI and SESAC. Any Health Club, and similarly any Restaurant, Sports Venue, Pub, Night Club or Radio and TV Station, would need to pay license fees to these societies if they are to play popular hit compositions regardless of whether they are original artist or remake artists. The currency is in USD (United States Dollars). Absolutely, If you are interested in bringing Yes! Fitness Music to an event in your area, contact instructorcare@yesfitnessmusic.com and we can set you up for an event with a banner, product and even a “listening station” if available the week of your event. When you buy a CD you earn 8 Bonus Beats. When you’ve collected 64 Bonus Beats, you have earned a free CD. You earn Bonus Beats on all website and phone purchases. You do not earn Bonus Beats on shipping or taxes. Once you have enough Bonus Beats in your account, you will see the option to PAY WITH BONUS BEATS during checkout. Bonus Beats can be redeemed online and on phone orders. Bonus Beat program terms and conditions are subject to change. All releases released since 2009 are in 256K resolution. All Yes and Energy 4 Fitness albums released before are delivered with 128K resolution to provide both high quality and increase download speed.